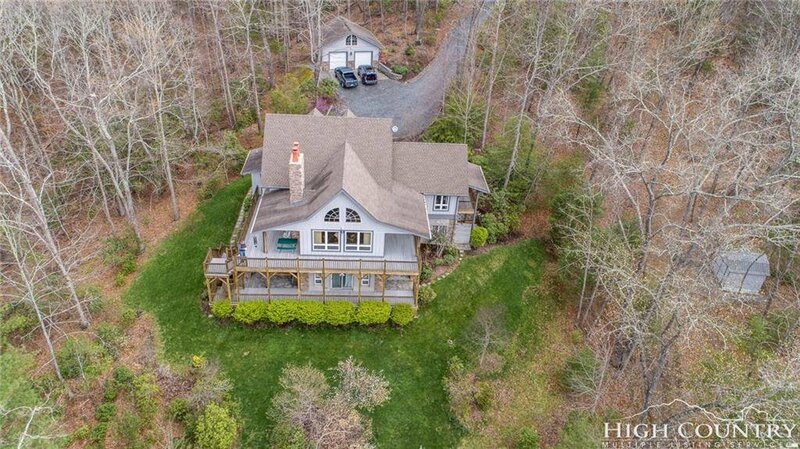 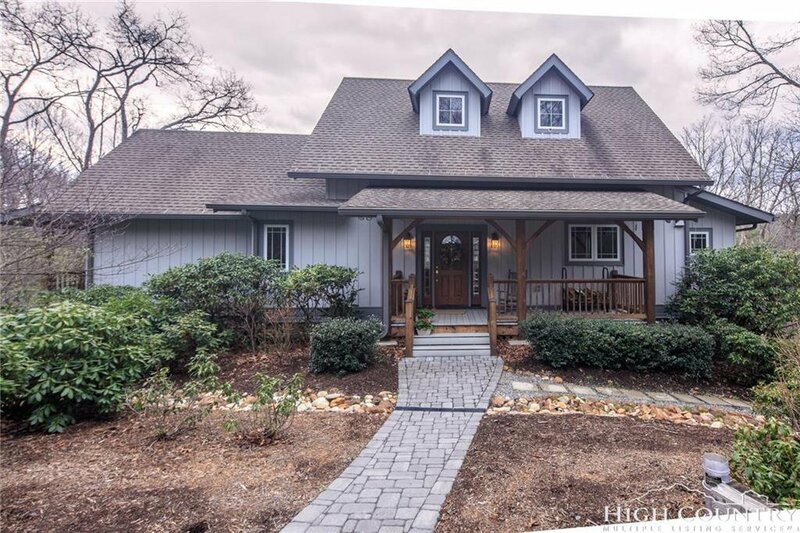 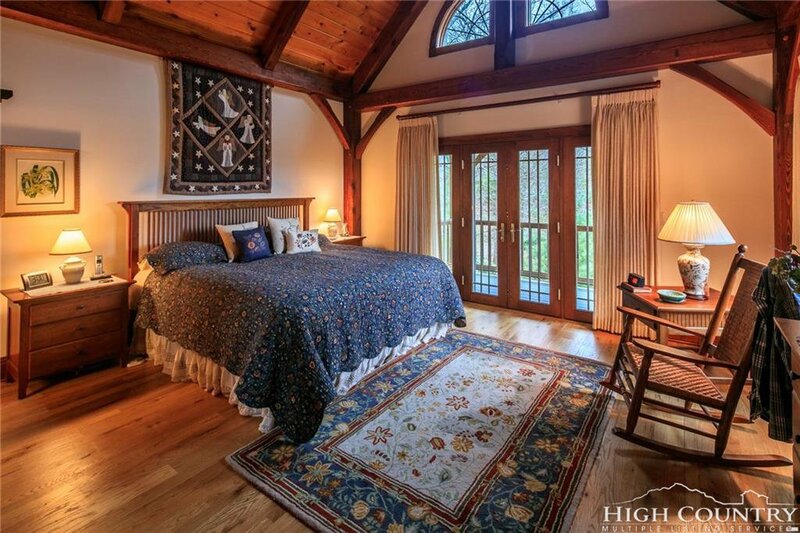 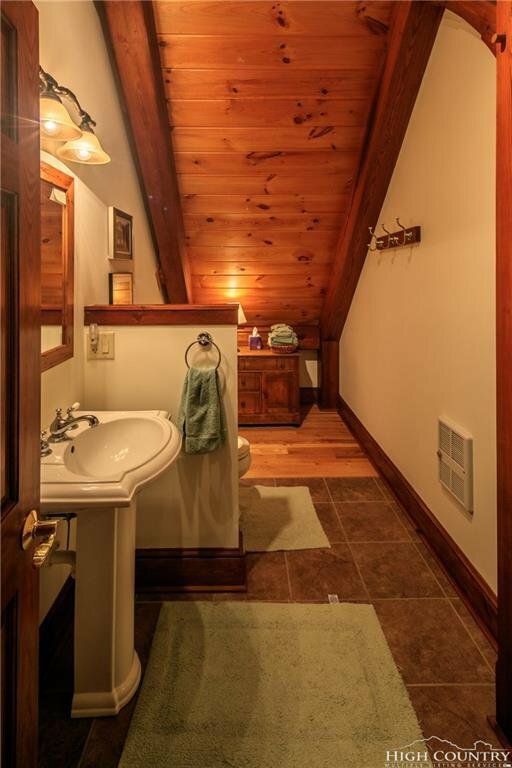 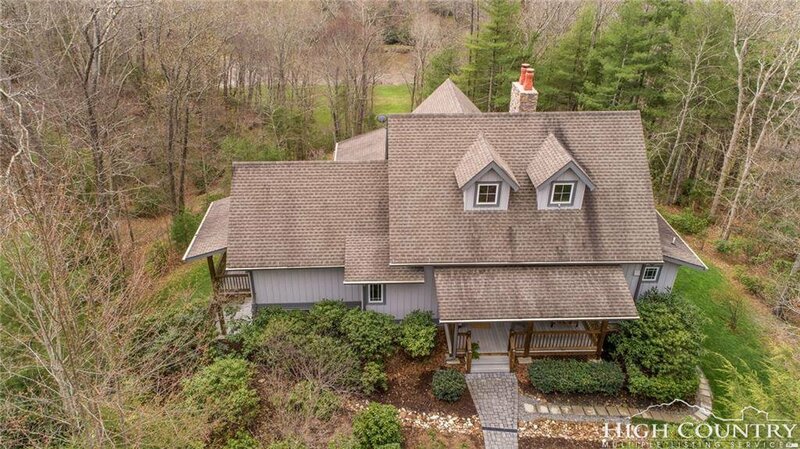 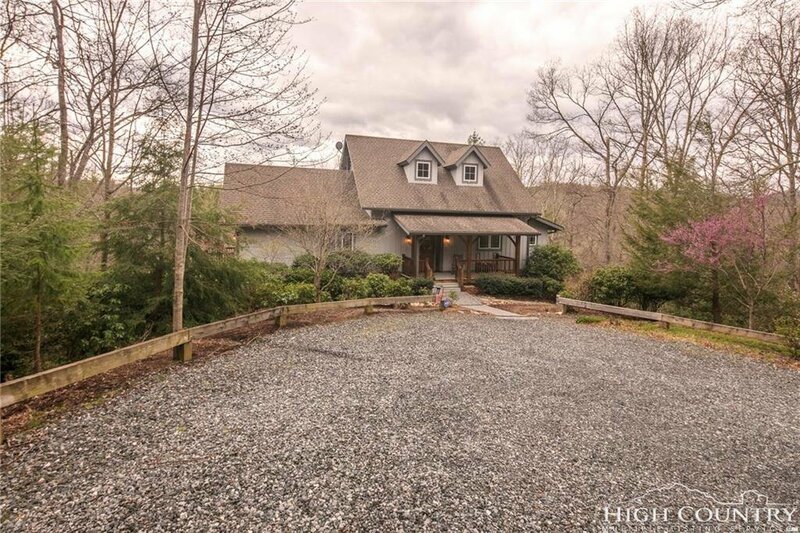 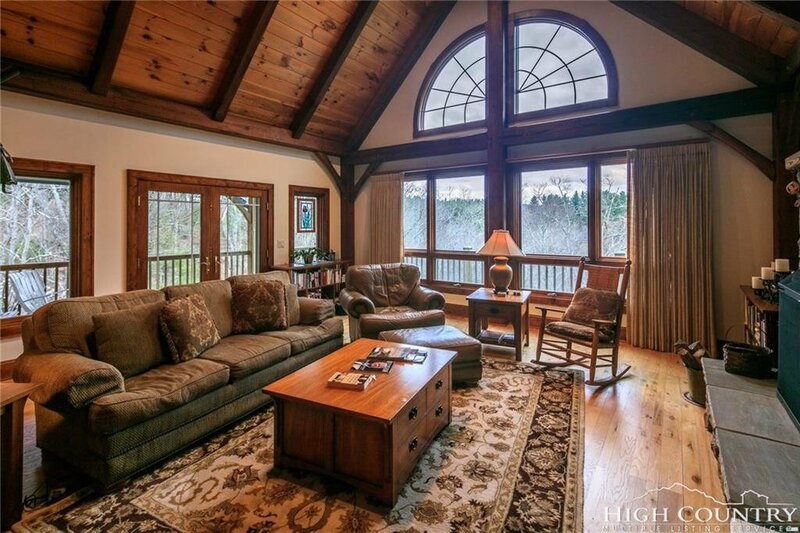 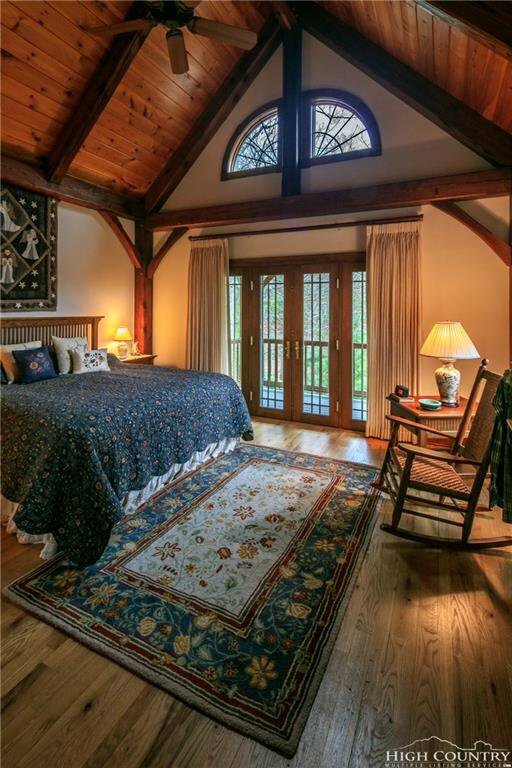 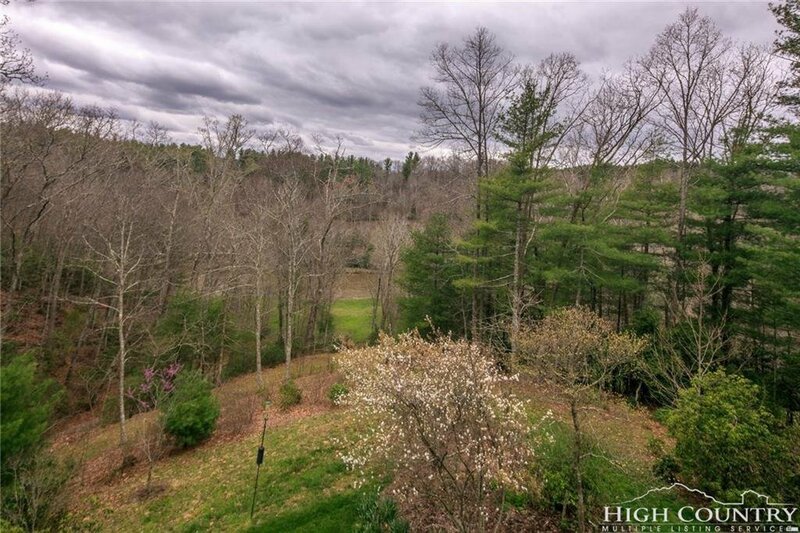 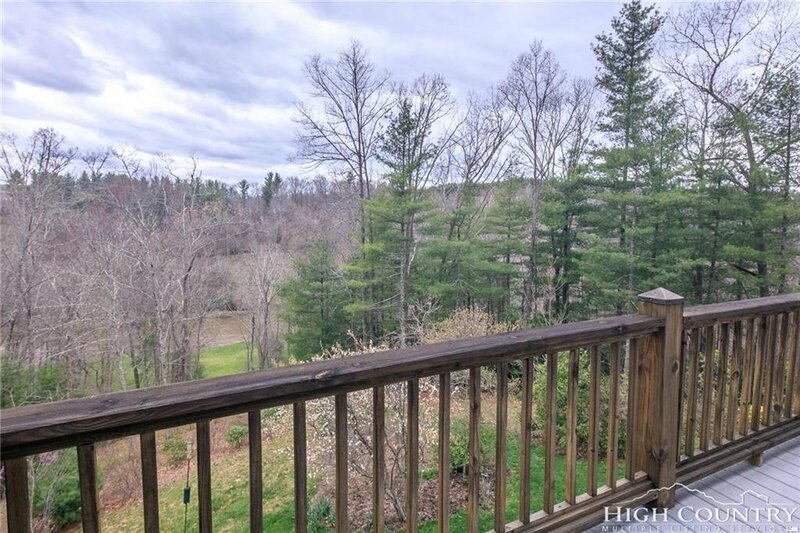 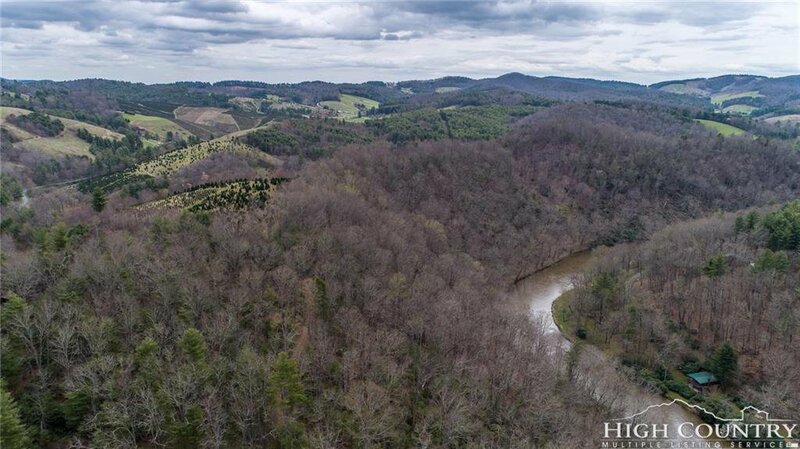 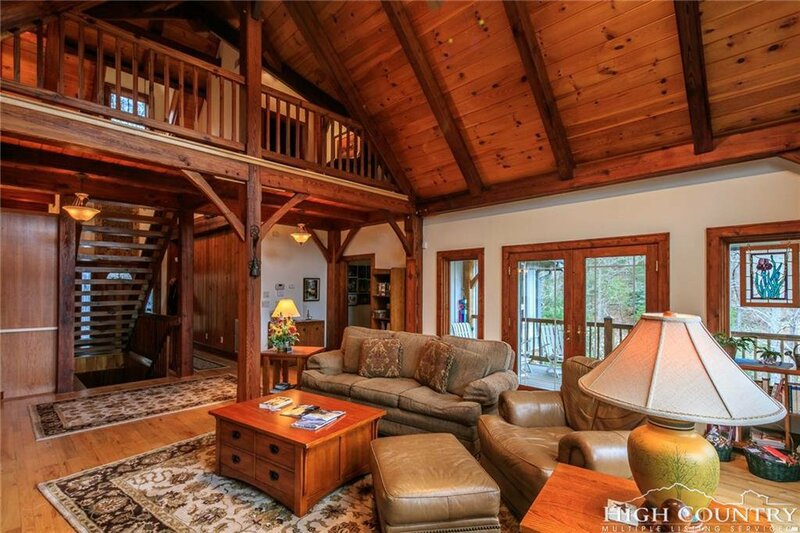 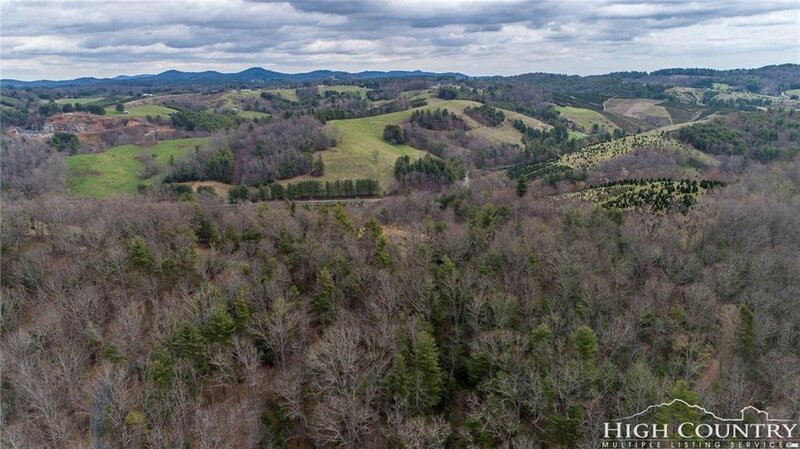 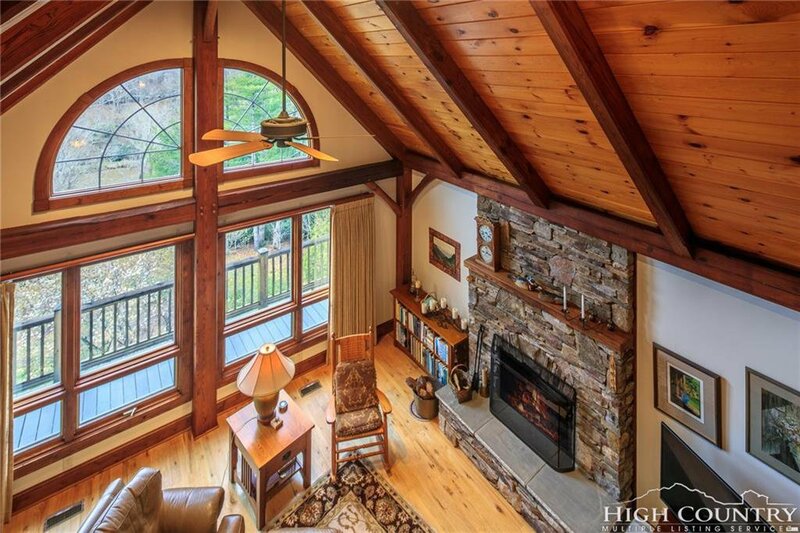 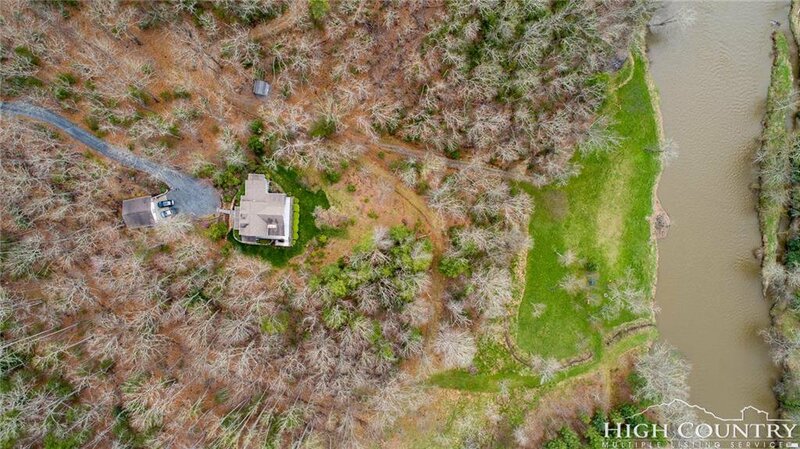 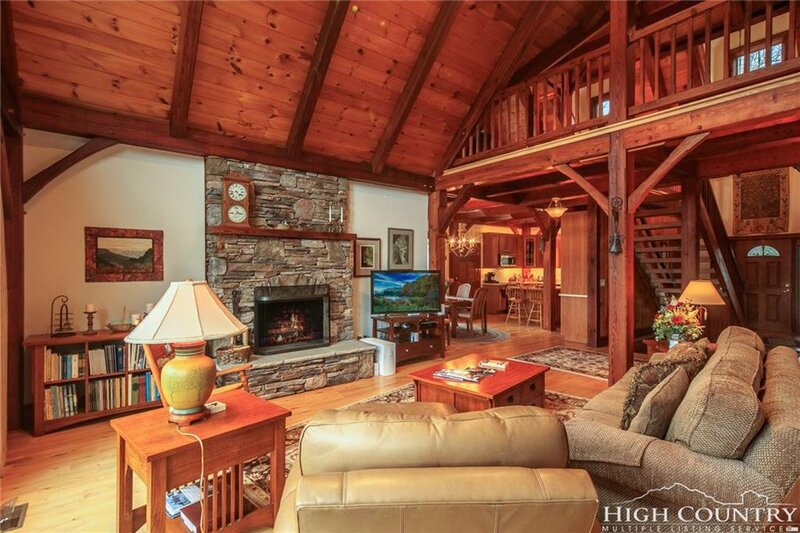 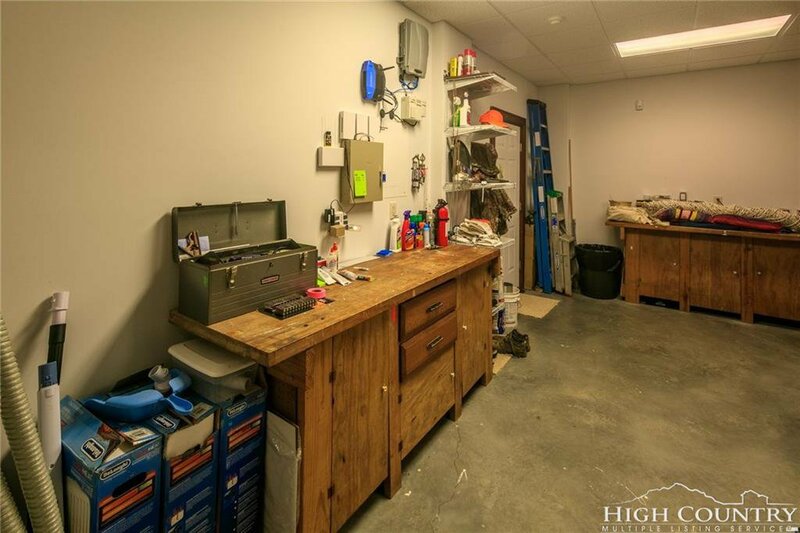 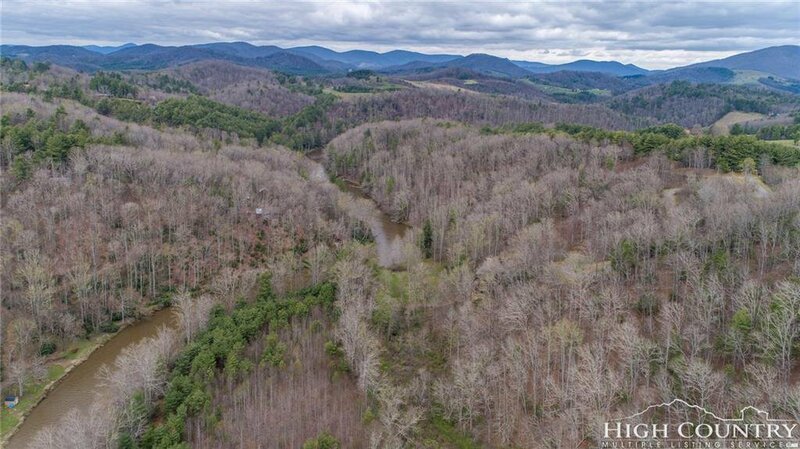 Gorgeous Timber Frame home on 44+ acres with 2,000+ New River Frontage. 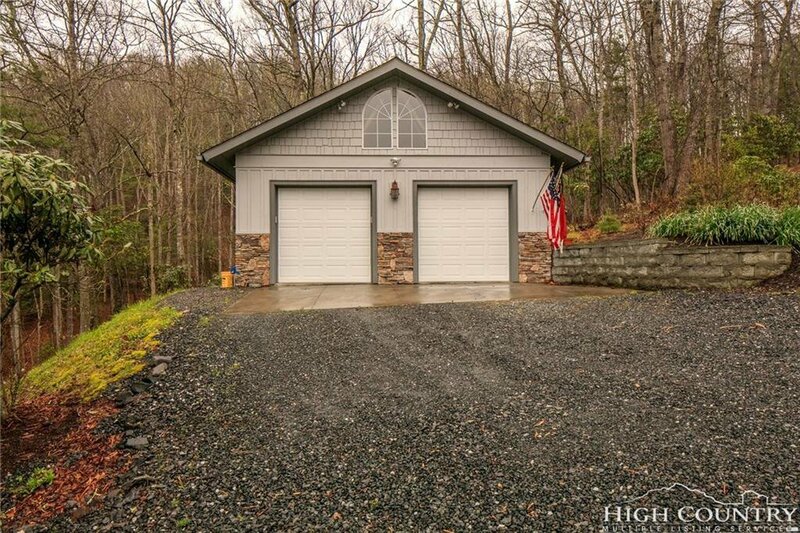 Home is approved for 3 bedrooms but is currently set up for 2, however the loft or the den in the lower level could easily become a bedroom . 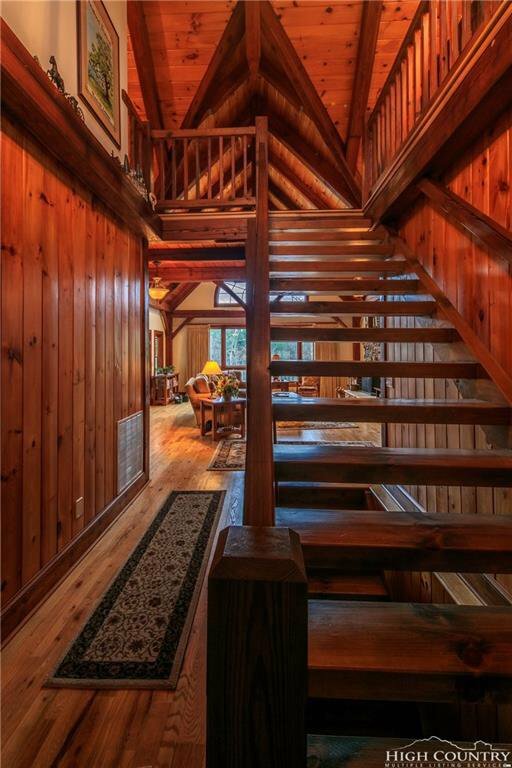 Trails throughout the property appeal to the nature lover. 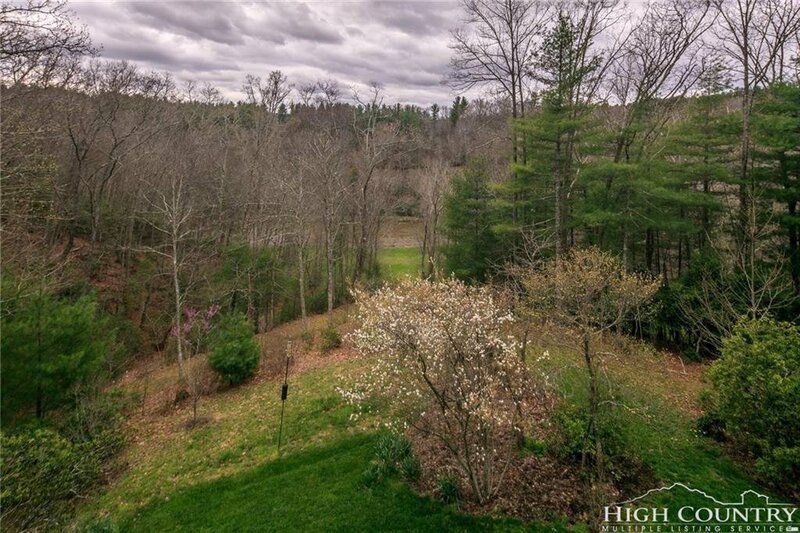 There is a meadow down by the river for picnicing, entertaining or simply relaxing. 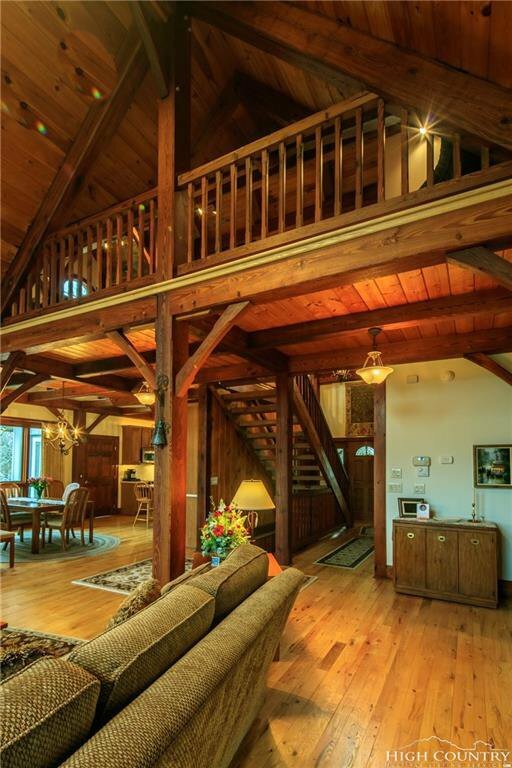 This stunning home was featured in Timber Homes Illustrated magazine. 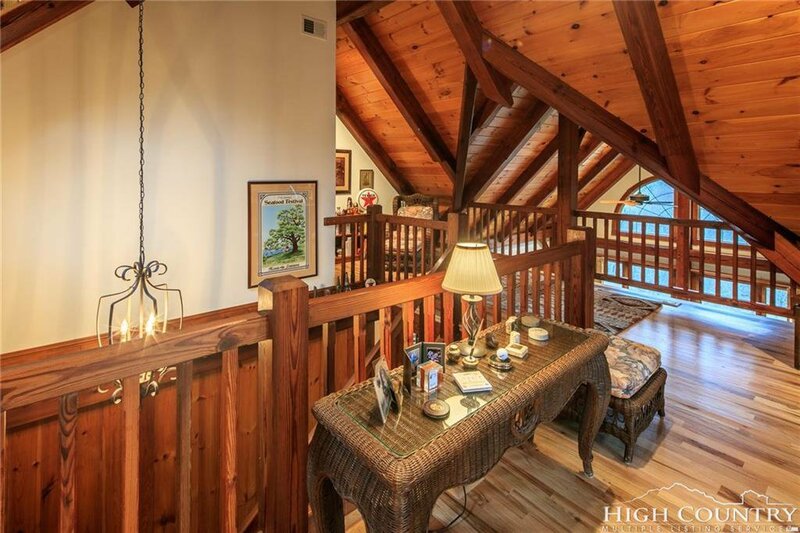 Beams inside house are reclaimed Savannah Harbor wood emphazing the rustic mountain look. 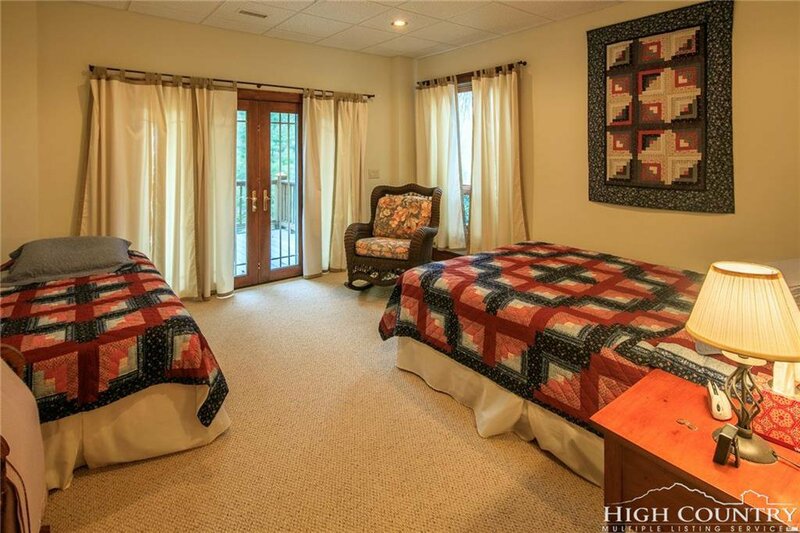 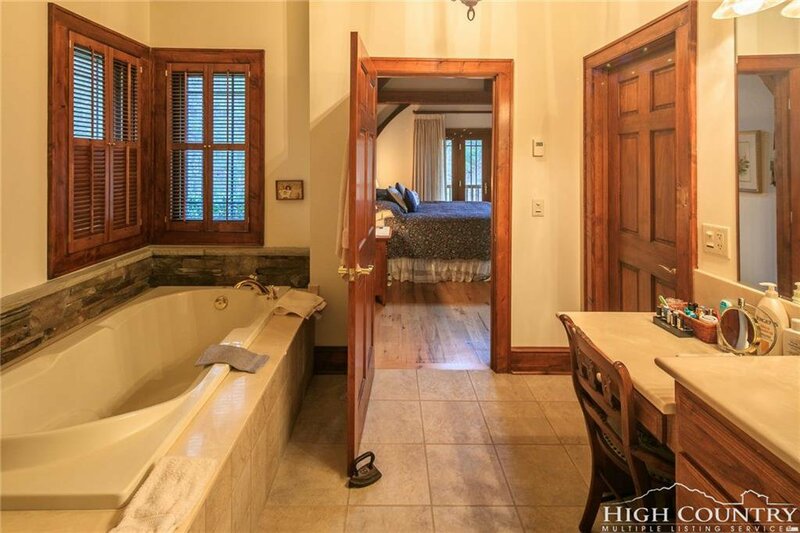 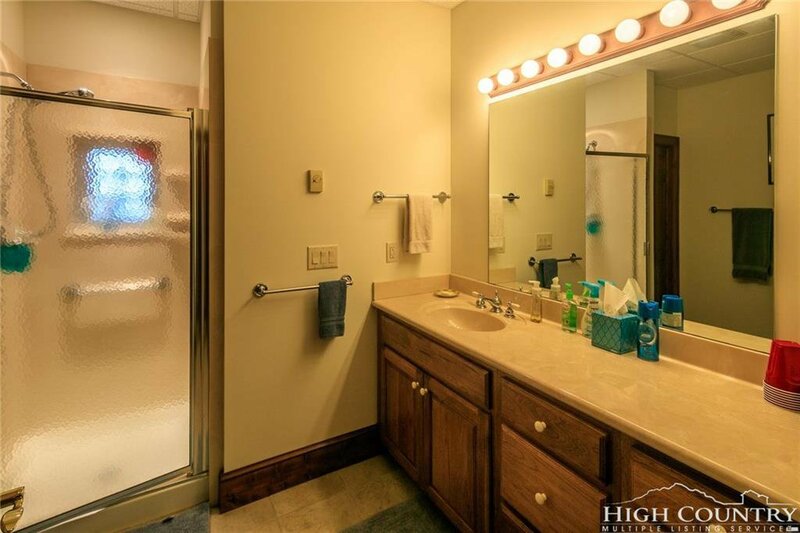 Master bedroom is on main level and has its' own private porch. 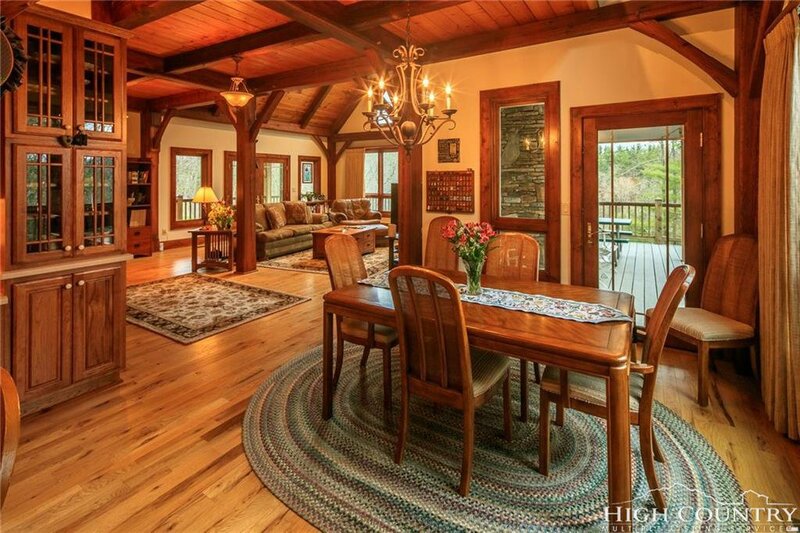 Open plan in kitchen, dining room and great room. 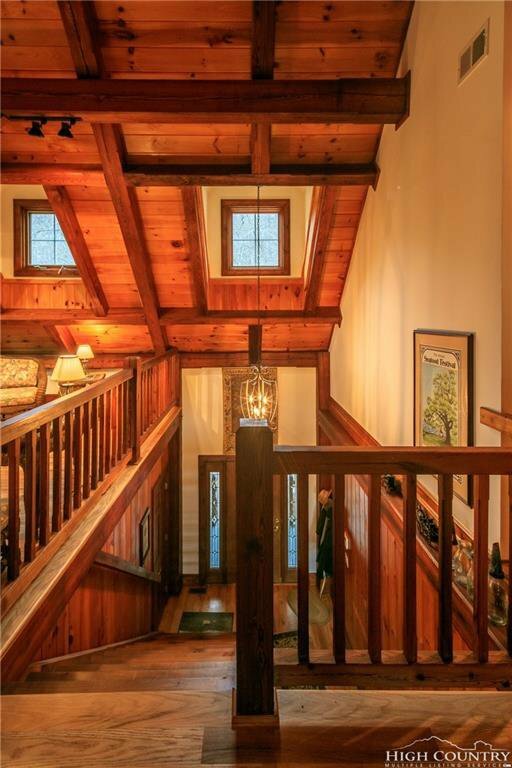 Vaulted T&G ceiling in Great Room & Loft. 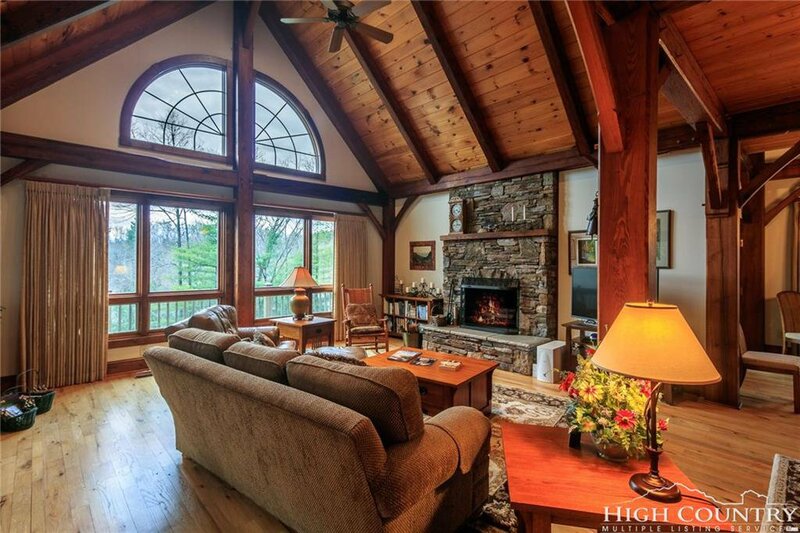 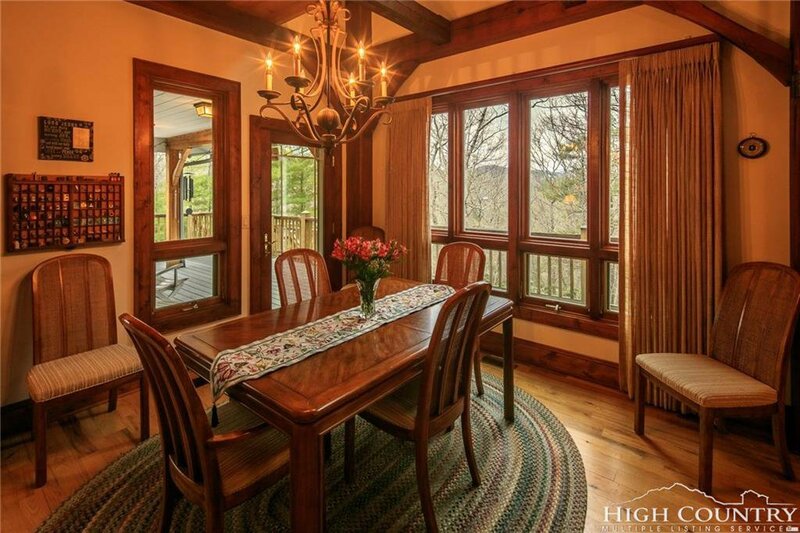 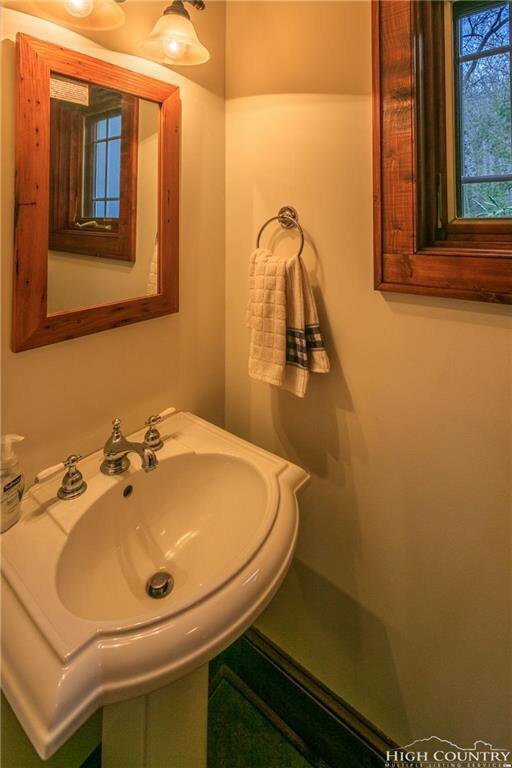 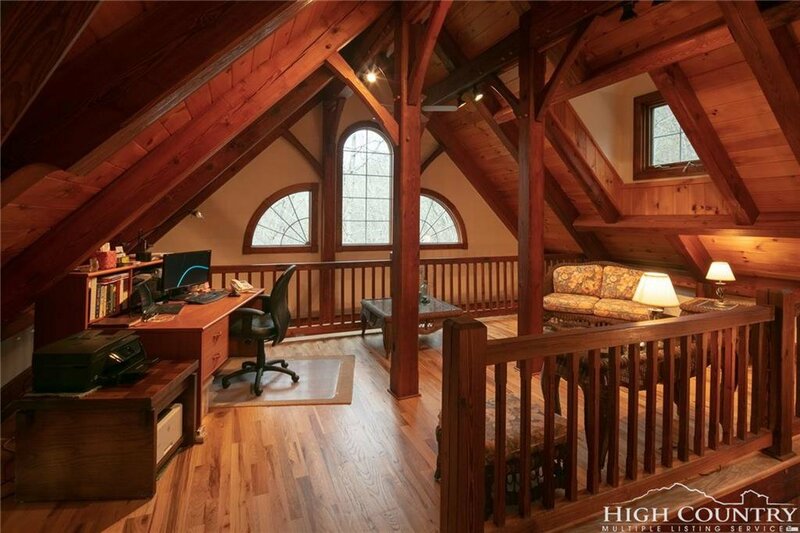 Abundant windows bring in plenty of natural light. 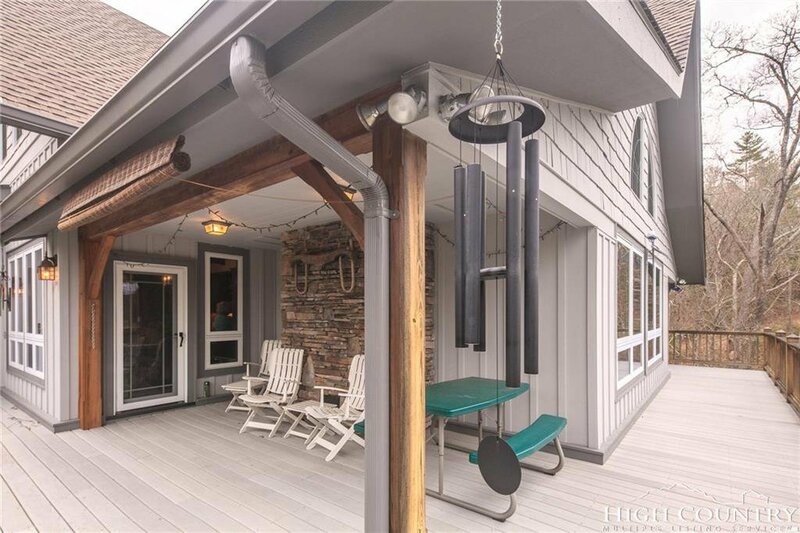 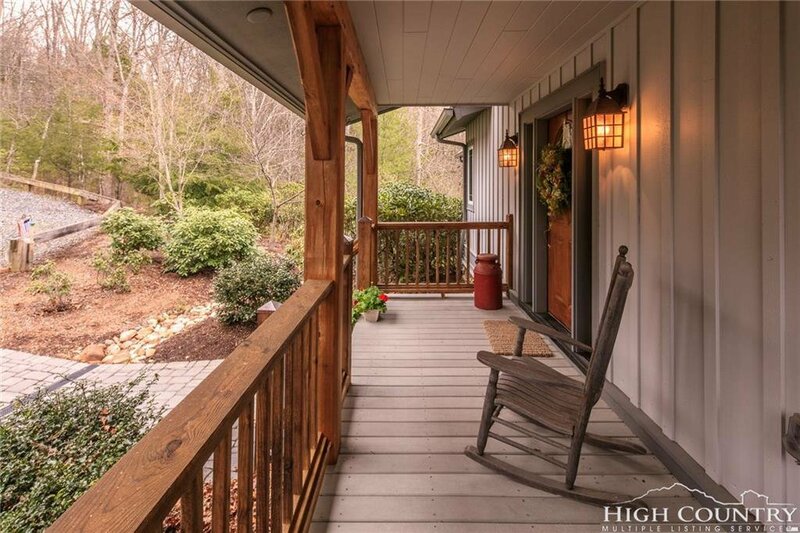 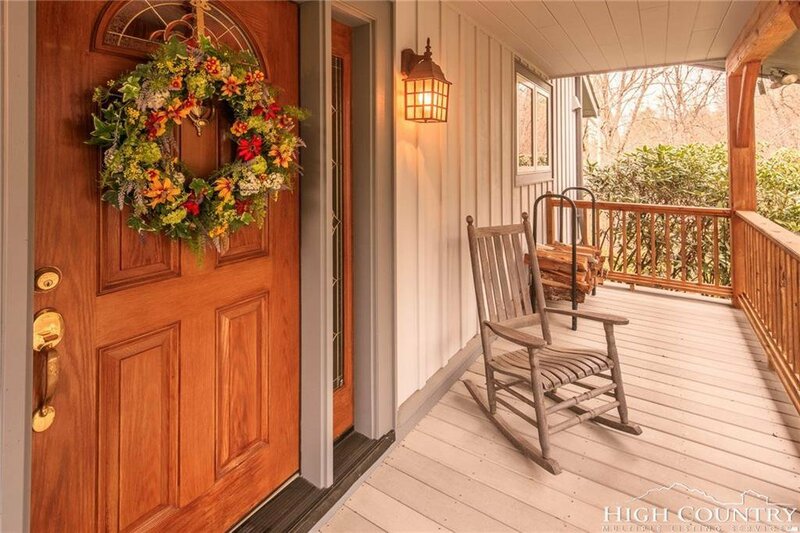 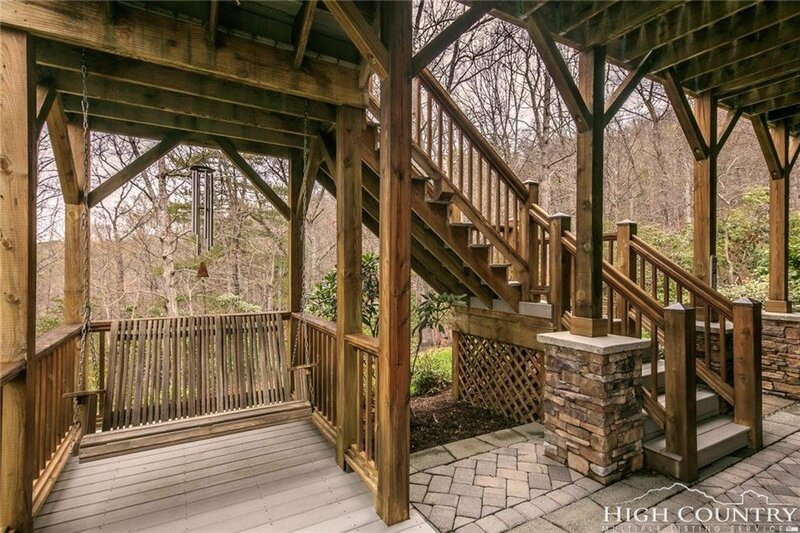 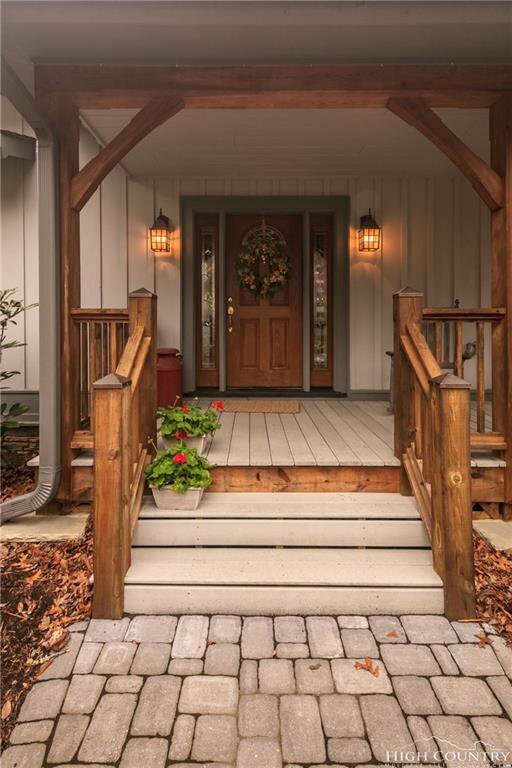 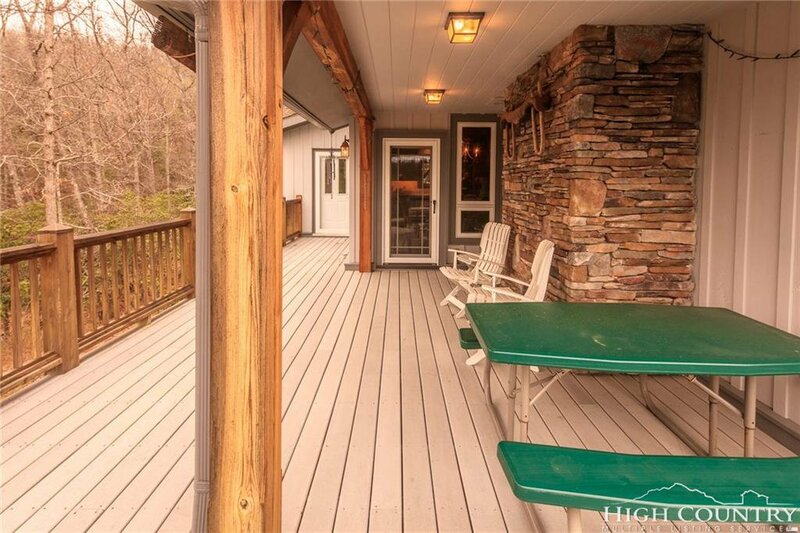 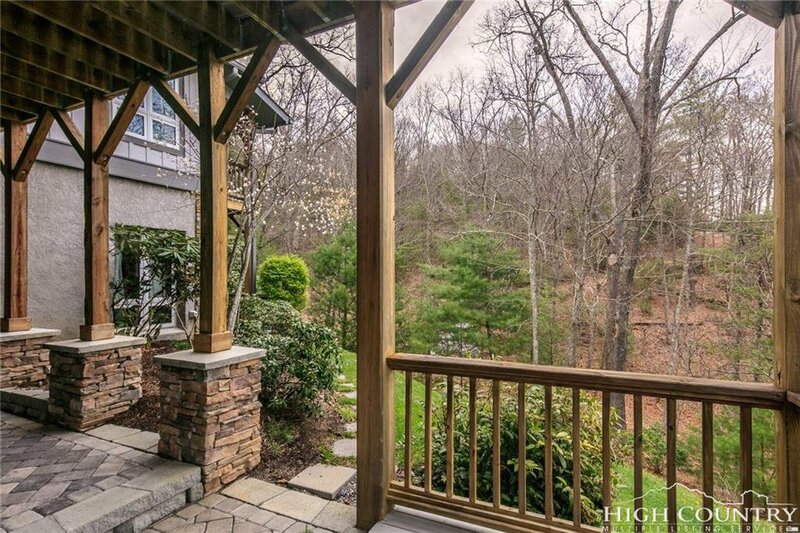 Multiple porches and decks invite you to enjoy the outdoors. 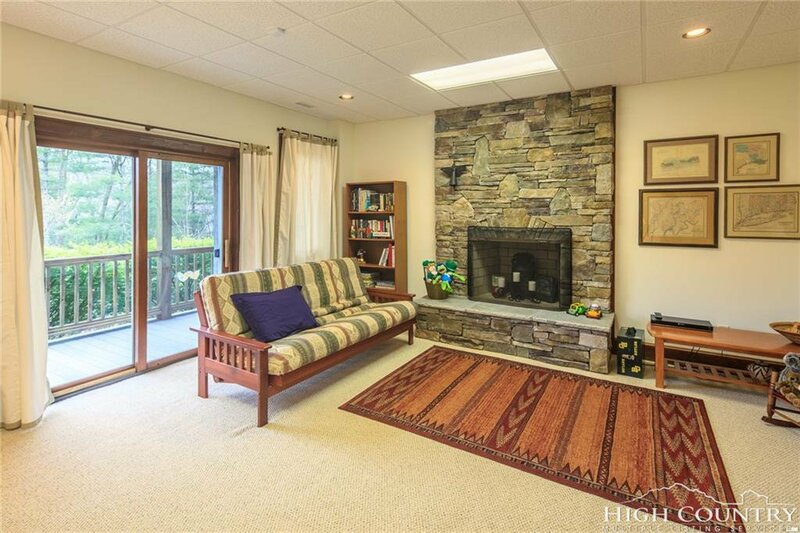 Great Room and Den in lower level have floor to ceiling stone wood burning fireplaces. 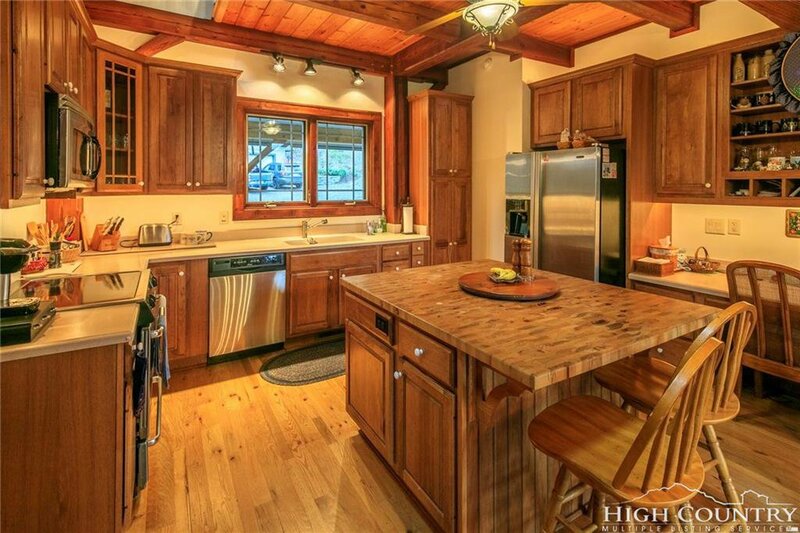 Stainless steel appliances in the kitchen plus there is a butch block topped island in kitchen for addition prep area as well as storage. 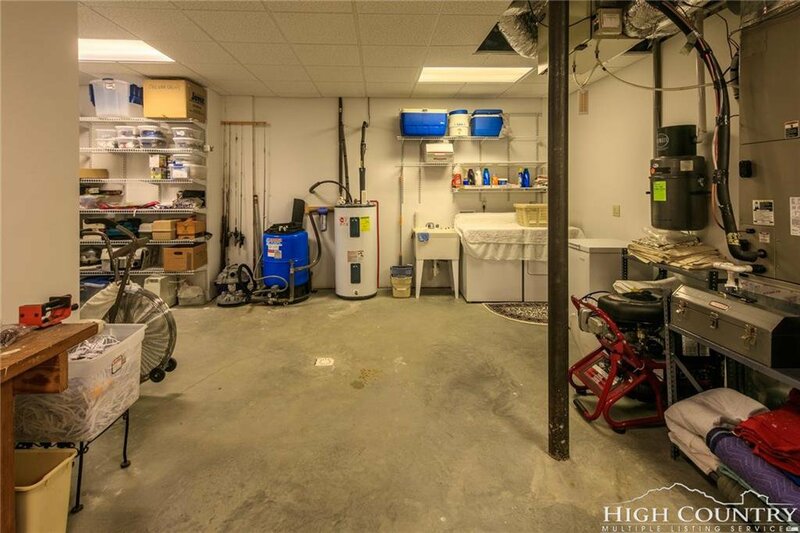 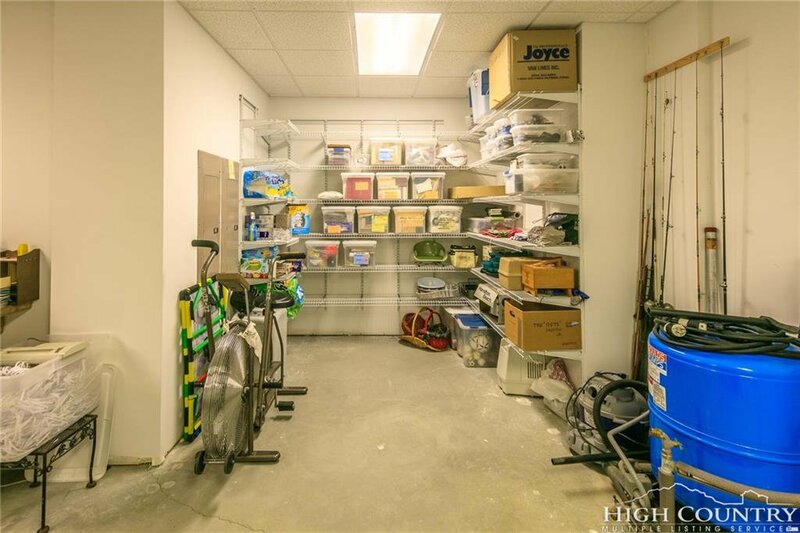 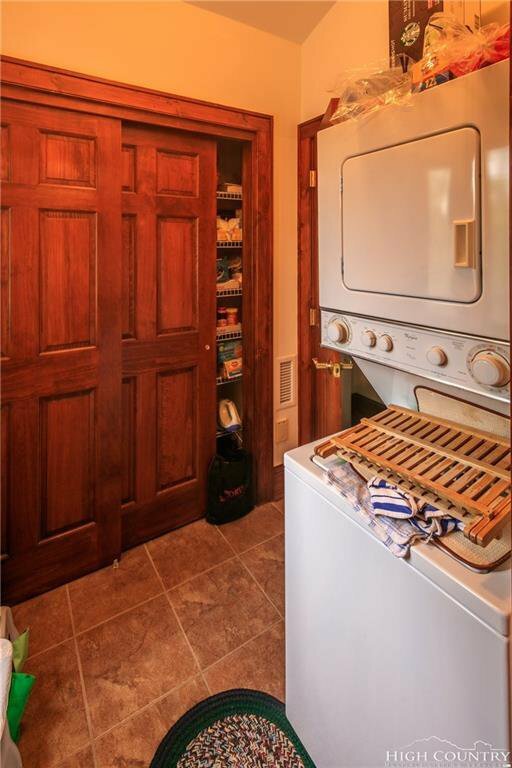 Just off the kitchen there is a pantry, stacked washer/dryer & half bath.